Those of you looking for information on Christopher Nolan’s next film in the Batman cycle, The Dark Knight Rises, need to look on further. The casting news is filtering in and the news is good. The next film in the Batman saga will feature two of Batman’s best-known villains, played by two of Hollywood’s hottest names. 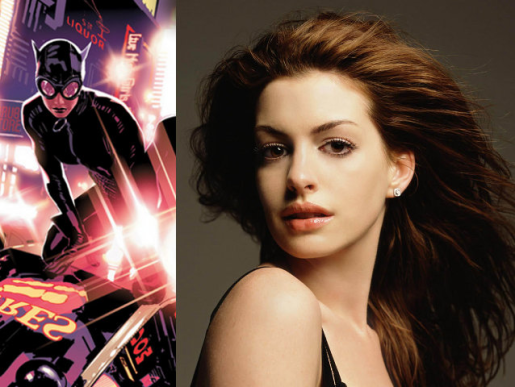 Joining the production as Selina Kyle/Catwoman will be Anne Hathaway; the already-cast Tom Hardy will be playing Bane. Catwoman is one of Batman’s oldest villains, having debuted in the comic book in 1940; Bane is one of the newest, having debuted in 1993 and having been the first villain to seriously injure Batman by breaking his spine. The Dark Knight Rises will hit theaters on July 20, 2012; Nolan has said it will be his last film in the billion-dollar Dark Knight franchise. The script has been penned by Christopher and Jonathan Nolan, from a story by Christopher Nolan and David S. Goyer. Christian Bale will be reprising his role as Batman/Bruce Wayne.